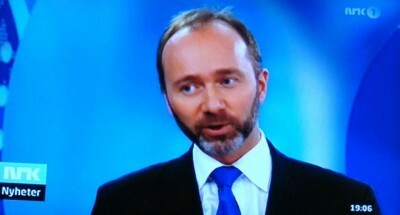 Norway’s newly bearded government minister for business and trade, Trond Giske of the Labour Party, kept making waves this week over his botched attempt to block the sale of the country’s biggest commercial television station, TV2, to its majority owner in Denmark. Giske’s refusal to back down, despite rebukes from some of his most powerful supporters, made many political commentators wonder what he’s up to. Among them was Arne Strand, the editor-in-chief of newspaper Dagsavisen, which earlier was Labour’s party newspaper Arbeiderbladet. Strand was tough in his commentary, headlined “Trondprinsens fall,” a reference to what he believes is Trond Giske’s fall from grace and his widely believed role as crown prince of the party. Strand noted that Giske also has challenged both Labour Prime Minister Jens Stoltenberg and the leader of Norway’s trade union federation LO, Roar Flåthen, “two persons he depends on to remain strong in the party.” Strand, and several others, also wrote how Giske has provoked members of Parliament, with a united opposition calling him in on the carpet to explain himself. Just what did he do, to turn so many powerful allies against him? It started with Giske’s heavy lobbying at last week’s annual meeting of employers’ organization NHO, when he made it clear to everyone within earshot that he strongly opposed a sale of TV2 to non-Norwegian interests. His opposition was so strong that both Flåthen and Harald Norvik, another Labour stalwart who serves as chairman of one of TV2’s sellers, Telenor, called Stoltenberg to complain. Stoltenberg called Giske and reportedly let him know he wasn’t pleased. That didn’t stop Giske from carrying on his opposition campaign in Norwegian media through the weekend. Then came reports, with various media citing “knowledgeable sources close to the matter,” that Giske had threatened to replace Norvik as Telenor chairman (which he theoretically could do, since the state still holds a major stake in the former public utility) if the TV2 sale wasn’t called off. The alleged threats emerged along with reports of late-night drinks (called a nachspiel) after the NHO banquet. Giske, Flåthen, NHO boss John Bernander and NHO president and top Telenor executive Kristin Skogen Lund were all said to be present at the nachspiel at the popular late-night bar and restaurant Lorry’s in Oslo. They were all reportedly so alarmed by Giske’s campaign that they huddled for an emergency meeting on Friday. Giske himself has flatly denied he made any threats against Norvik (“Det er bare tull” – “That’s just nonsense,” he told NRK on the national nightly news on Wednesday) and he has appeared to remain cool and confident, even smiling, all week. He denies there’s any friction with Labour leaders and claims many other politicians within Labour and some other parties as well supported his opposition to the TV2 sale, which he failed to halt. Some claim Giske was out to strengthen his position on the more left-leaning side of the Labour Party and that some union activists backed his attempts to keep TV2 in Norway, even though the station’s own union is pleased with Egmont of Denmark as their new owner, and even though union boss Flåthen supported the sale. Strand is among those who thinks Giske activated his campaign too late, carried it out in a messy manner and alienated the wrong people. “His campaign in the media, and at the nachspiel, have weakened his position considerably,” wrote Strand. Flåthen has aired his unhappiness with Giske. Stoltenberg has mostly declined comment.